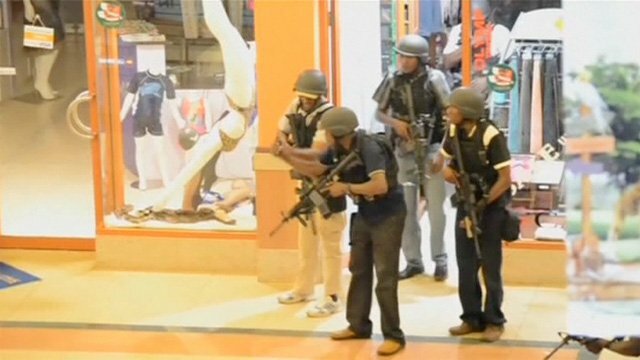 Four men have been charged over Nairobi’s Westgate mall attack, in which more than 60 people were killed, police say. The four foreigners have been charged with aiding terrorist groups in Kenya and being in Kenya illegally. Their nationalities have not been disclosed, but they are said to be ethnic Somalis. These are the first charges to be brought in relation to the September siege. The four have been named as Adnan Ibrahim, Liban Abdullah, Mohammed Ahmed Abdi and Hussein Hassan. “The accused persons carried out a terrorist attack at Westgate Shopping Mall on 21 September by supporting a terrorist group,” the charge sheet read. All four men have pleaded not guilty to the charges, which also included obtaining false identification documents. None of them is accused of being the gunmen in Westgate shopping centre.